Both Leah and I can drink iced tea like nobody's business and sun tea is our new favorite thing. In my opinion, the easiest way to make something is to just set it outside all day, am I wrong? 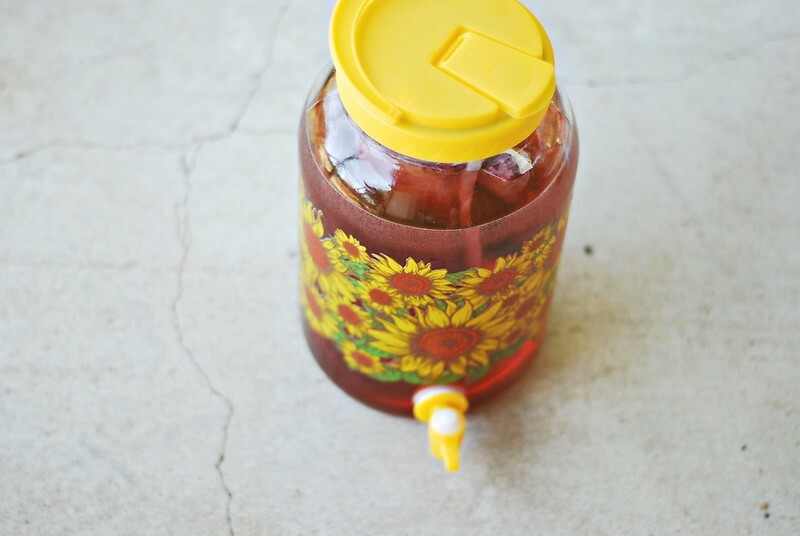 You most recently saw sun tea make an appearance in our last outfit post, and we just can't get enough. 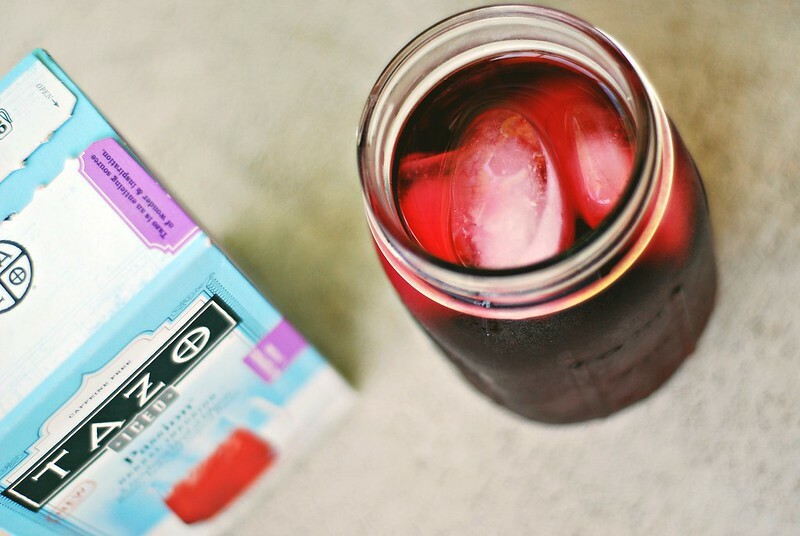 Our go-to is Tazo Passion Tea, but I'm excited to try it with Good Earth or green tea. Instructions: 1. Find yourself a pitcher. 2. Put some tea bags of the tea of your choice into it. 3. Fill the rest up with water. 4. Set outside. 5. Go about your day as usual. 6. Fetch tea from the outdoors. 7. Enjoy... with a spring of mint maybe? Ideally, it would be a nice sunny day. I like to put it together in the morning, then when I get home from work I can pop it in the fridge and pour myself a glass. The batch pictured here sadly didn't end up so well. I went to bring it inside, lifting the little yellow handle, and it popped right off and shattered onto the ground before I had a chance to get my other hand beneath it. Luckily a trip to the store was already on our list of things to do, so we were able to pick up another pitcher for tea today! Oooohhhh YUM! Tazo Passion Tea is SO good! I am also a sucker for sun tea!! Ive been wanting to try a soothing chamomile and lavender for after an afternoon in the garden.